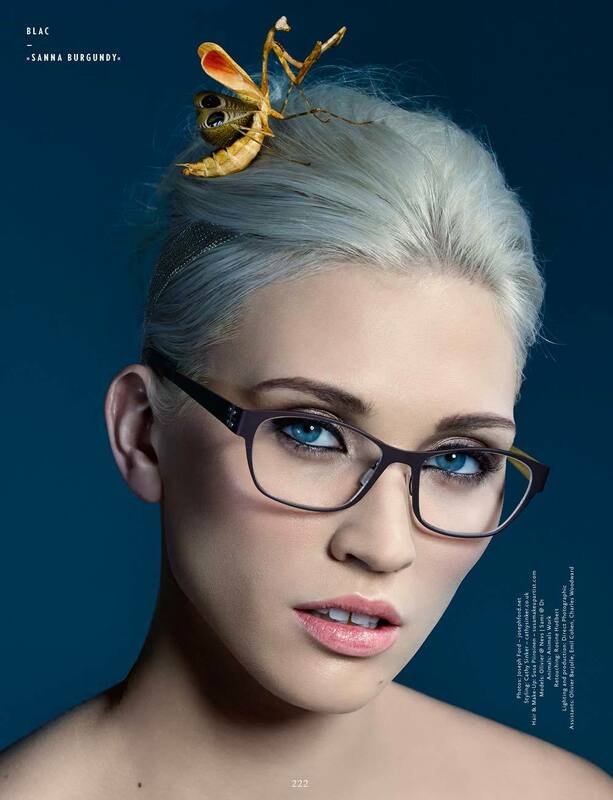 This is a new editorial for a German magazine, Eyewear. We spent a very busy day at Direct Photographic studio in London, working with a variety of live insects and creepy-crawlies, expertly wrangled by animal supremo, Trevor Smith, of Animals Work. 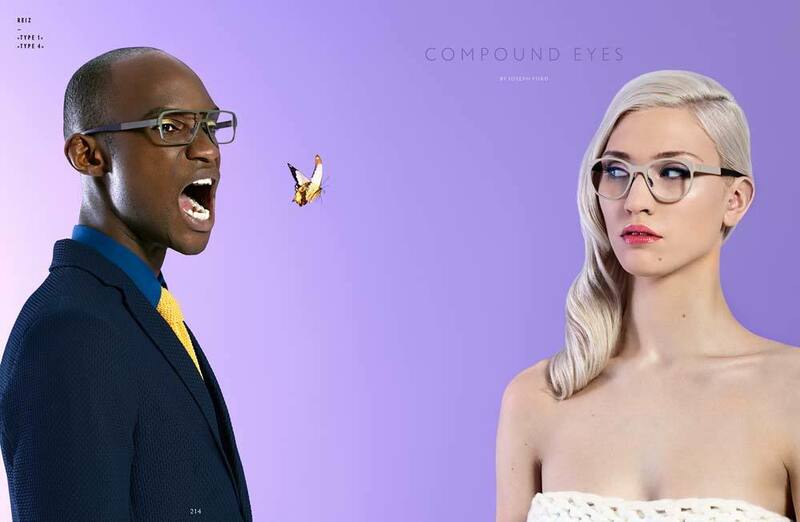 Our fearless models allowed us to decorate their faces with a variety of spectacle frames and stick insects, while we photographed and filmed them with the Sony F5 camera. We shot with HMI rather than flash to allow us to shoot motion at the same time as stills, and I tried out the Phase One IQ250 back. I was blown away by the quality at high ISO, which meant I could shoot double page spreads at 1600 ISO with no visible noise. Shooting stills and motion of five images in one day made for a busy shoot, but hair and makeup artist Susa Piiroinen and stylist Cathy Sinker did an amazing job of getting the models prepared for each change of set. Olivier was incredibly patient and spent about an hour having live butterflies put on his tongue for this shot. 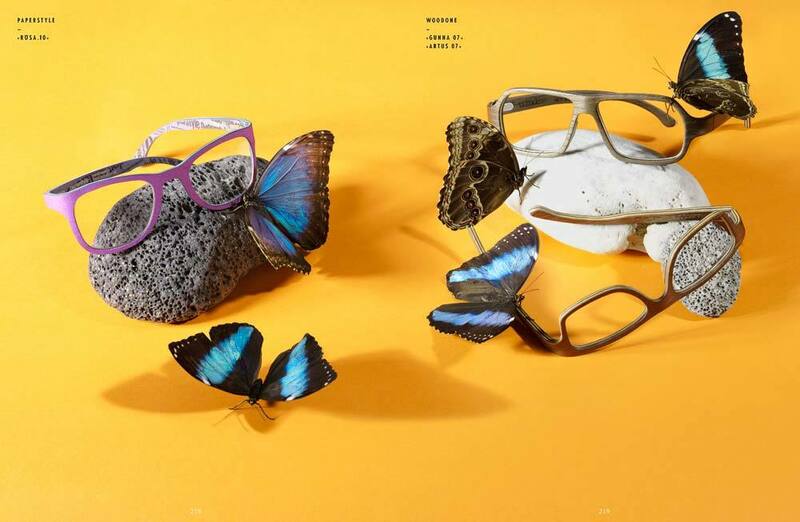 Olivier and Sami are wearing Rolf Farina and Rolf Continental frames, and Macleays and Giant Thorny stick insects. Apparently the Macleays imitates a scorpion to ward off predators, hence the strange shape on Olivier’s glasses. Sami wears a pair of Blac Sanna Burgundy frames, and an amazing peacock preying mantis. We tried adding scarab beetles but stopped when they burrowed into her hair.